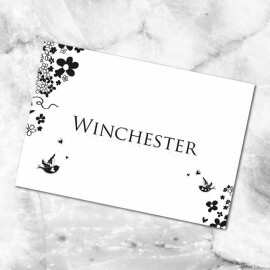 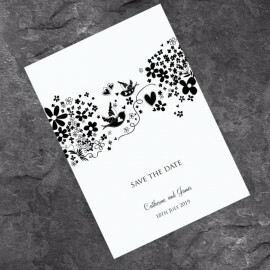 The beautiful Windsor wedding place cards perfectly match our Windsor wedding stationery range, with the black floral print to the left and right bottom corners, complementing your theme perfectly. 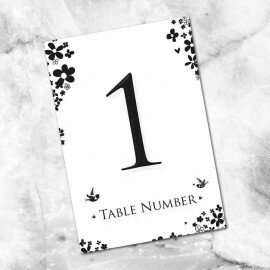 Wedding place cards are a great way to help your guests find their seat at their table and perfectly finish your table decor off. 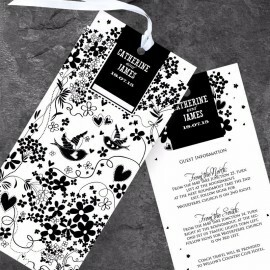 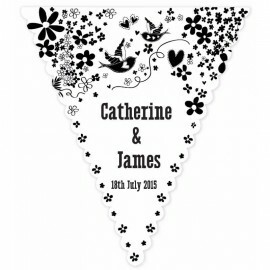 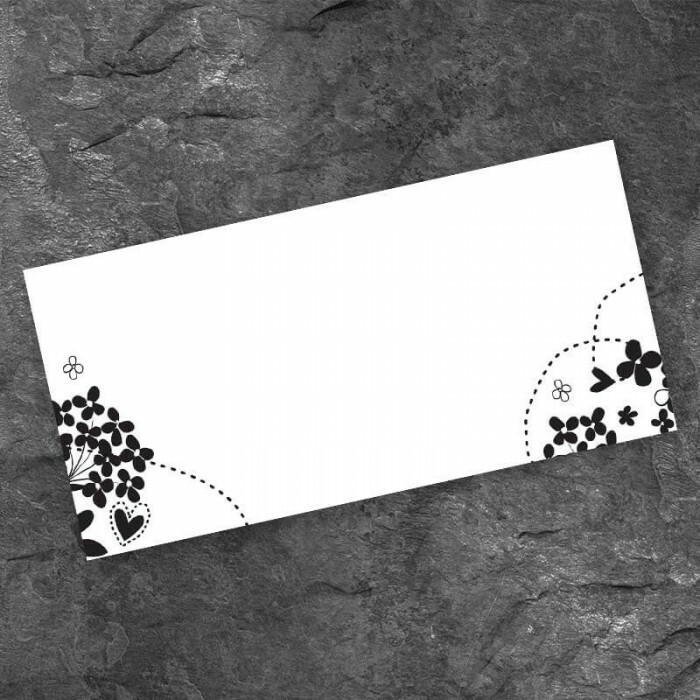 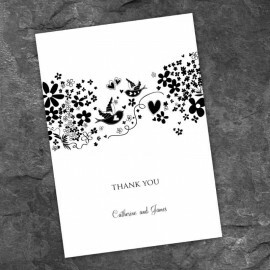 The Windsor wedding place cards are printed on quality, white board, which gives them great stability. 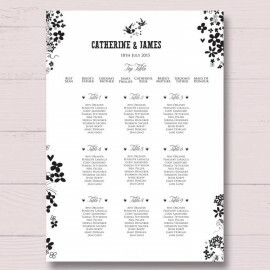 There is plenty of space provided for you to write your guests names. 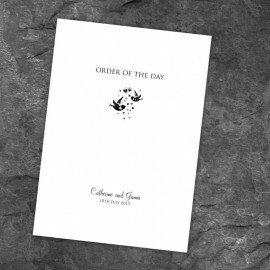 For orders of over 150 please call us on 0845 120 6004 for a tailored quote.